58mm 0.21X Fisheye Lens. 1 x 58mm 0.21X Fisheye Lens. 0.21x Super High Resolution Fisheye Wide Angle Lens. Lens Back Threads Size 58mm. 1 x Lens Bag. We accepted International order. Great for Every Type of Photographic Situation. Screws onto a 58mm ring or Filter. ITEM: VCL-M3358 Close-Up / Macro Lens. (Just our humble opinion). PHOTOS: Different screens and devices display colors differently and have varied image quality and resolution. I3e Pro 58mm 0.43X Wide Angle Lens with Macro Portion. Perfect for long-distance photo situations such as sporting events, candid portrait shots, as well as nature and wildlife photography. 58MM back thread and 62MM front thread. You just screw this lens on front of your existing lens or adapter. - Lens Back Threads Size 58mm. - Fit thread size : 58mm. - Magnification: 2.2X. 1 x Lens Bag. - High definition optical resolution. Perfect for long-distance photo situations such as sporting events, candid portrait shots, as well as nature and wildlife photography. 58MM back thread and 62MM front thread. This item is compatible with 58MM lenses only. Macro mode is accomplished by unscrewing the front lens assembly and using only the section labeled MACRO with your existing lens. 1 Piece 58mm 0.45x Wide Angle Macro Lens. - Lens Back Threads Size 58mm. Lens Back Threads Size 58mm. Magnification: 2.0X AF. 1 x Lens Bag. 62mm Front Threads For Filter. Suitable for We will do our best for you. We'd be glad to help you solve any problems. Macro Mode is accomplished by unscrewing the front lens assembly and using only the section labeled MACRO with your existing lens. 1 x 58mm 4.5x Wide Angle & Macro Lens. Lens Back Threads Size 58mm. Lens bag, lens covers included. The SuperScope is a lens with high-quality optics that further increase your field of view by 1.5x! The SuperScope addition allows for longer taking lenses to be used to avoid vignetting on anamorphic lenses, but still retains the wide field of view of 2x anamorphic. New Axpro Titanium DSLR Pro MC AF Digital Wide Lens with Macro. You are looking at a new Axpro Titanium DSLR Pro 0.43x Wide Lens. AXPRO Titanium Wide Lens. Model #: 1058, 0.43 x L.C. 58mm HD IS L. 0.43x Titanium super wide angle Lens With Macro Lens. It conveniently mounts to the front of your fixed or zoom lens, and allows you to capture a wider field of view. Great for family photos, landscapes, and photographers of all levels. As an added value, the bottom portion unscrews and converts into a macro lens for closeup photography of small objects. 1x 58mm 0.21X Fisheye Lens Macro Lens. 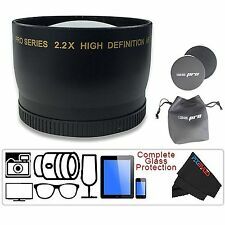 0.21x Super High Resolution Fisheye Wide Angle Lens. Lens Back Threads Size 58mm. 1x Lens Bag. Suitable For Great for Every Type of Photographic Situation. Infrared Compatible. 58mm 0.21X Super Fisheye Lens. Lens Back Threads Size 58mm. Lens bag, lens covers included. 62mm Front Threads For Filter. Suitable For. 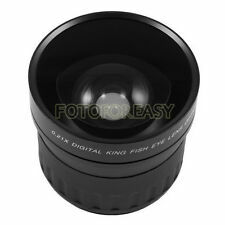 0.21x Super High Resolution Fisheye Wide Angle Lens. 1x 58mm 0.21X Fisheye Lens. 10：Lens Back Threads Size 58mm. 3：Anti-Reflection Lens Coating. 1x Lens Bag. 9：Great for Every Type of Photographic Situation. 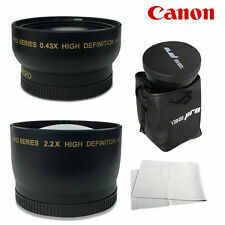 Super high resolution Fisheye Wide Angle lenses;. 0.21X Fisheye Wide Angle Lens. 1 x 58mm Fisheye Lens. Lens Back Threads Size 58mm. 1 x Lens Bag. Great for Every Type of Photographic Situation. 62mm Front Threads For Filter. Perfect for long-distance photo situations such as sporting events, candid portrait shots, as well as nature and wildlife photography. 52MM back thread and 62MM front thread. This item is compatible with 52MM lenses only. The wide-angle lens screws directly onto the Canon EF-S 18-55mm Zoom, the Olympus Zuiko 14-45mm "Kit" lenses and any lens that has a 58mm filter mount. The wide angle lens is high speed and infra-red compatible. Open Box item. Includes original packaging. Mounts to 58mm lens thread.